Mike Nizza is an editor for Bloomberg View. He was the executive editor of BloombergPolitics.com, as well as an editor at Esquire Digital, News Corp.’s the Daily, the Atlantic Media Co.’s Innovation Center and the New York Times. Tax Day could be more of a relief in the future. decrying losses, and a good chunk of the nation unsure of what to think, actually. That’s to be expected – it will take time to understand the true impact of such sweeping changes. For Tax Day, we posed a simpler question to our columnists: What single change in tax policy would do the most good for the nation? They offered the following suggestions. Perhaps the most popular feature of the tax law Republicans enacted in 2017 was its modest provision of tax relief for parents. The law eliminated the dependent exemption but expanded the tax credit for children by more than enough to make up for it. But the law made this pro-parent tax cut temporary. Republicans defended making it temporary on the theory that a future Congress would find it politically imperative to extend it. Most financial assets are held by the rich. 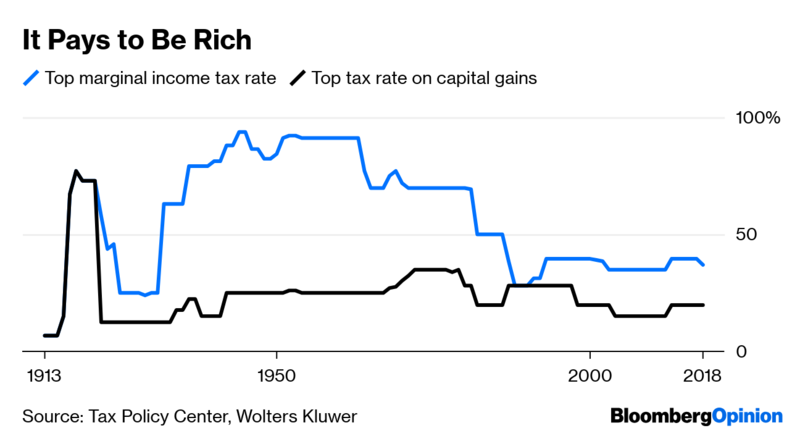 To the extent that middle-class Americans hold financial assets, they’re generally tax-deferred in the forms of individual retirement accounts and 401(k) plans, and at retirement when those assets are withdrawn they’re taxed at ordinary income rates. It remains the closest thing to Adam Smith’s “invisible hand” invigorating capitalism by requiring the super-rich to do what Warren Buffett, Bill and Melinda Gates, and almost 200 other billionaires (including Michael Bloomberg, the owner and publisher of this news organization) have already pledged to do: Give at least half of their net worth to philanthropy. 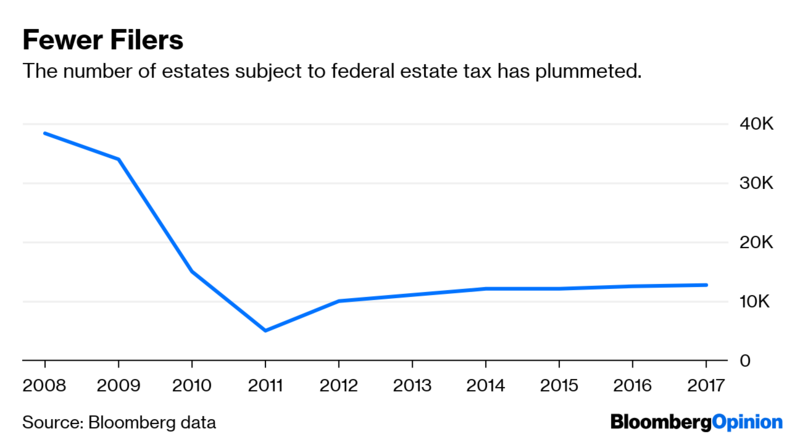 The number of estates subject to federal estate tax has plummeted.